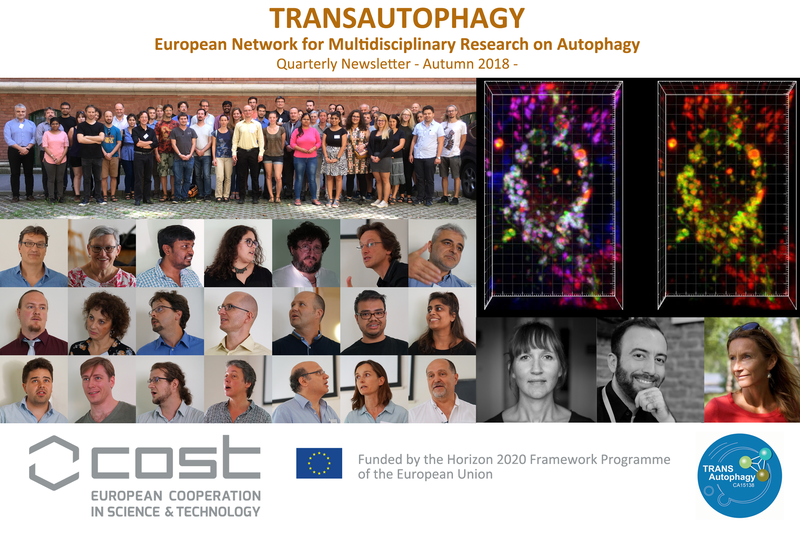 TRANSAUTOPHAGY (COST Action CA15138) is a European Network for Multidisciplinary Research on Autophagy with emphasis on Translation of knowledge to applications. It comprises more than 200 members among which are researchers from public and private Institutions as well as small-medium sized enterprises (SMEs) from 28 countries across Europe and the neighbouring regions. The main challenge of TRANSAUTOPHAGY is to extend multidisciplinary knowledge about Autophagy and to accelerate its translation: i) for biomedical purposes, particularly prevention, accurate disease diagnosis and therapy development, and ii) for biotechnological applications, such as enhanced crop production and bioenergy generation. We encourage you to apply for a TRANSAUTOPHAGY membership. It is free and easy to become a member, and it gives several benefits, for example the possibility to apply for grants. Please visit the TRANSAUTOPHAGY website for more information.